What made Muhammad Ali “The Greatest”? Muhammad Ali is known around the globe simply as “The Greatest” when it comes to boxing, but what exactly made the three-time heavyweight champion of the world so great? 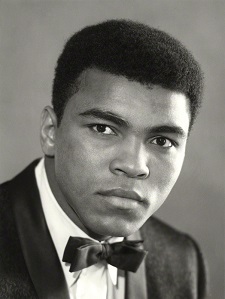 According to one man who fought Ali twice in his career, it was Ali’s ring savvy that set him apart from the rest. In a segment for The RING magazine called, “Best I’ve Faced,” former heavyweight contender George Chuvalo names the best fighter he went against in a number of categories. Chuvalo lost both times he shared the ring with Ali: a 15-round unanimous decision against a 24-year-old Ali for the heavyweight title in 1966, and a closer 12-round decision against a 30-year-old Ali in 1972. Chuvalo also named Ali as the best chin, best jab, fastest hands, best boxer and best overall opponent he faced during his 22-year pro career.